One of my favorite things about the E-Learning Heroes community is that it’s much more than just a place to get Articulate product support and free assets; it’s an open community (welcome to anyone!) built on the idea of fostering connection and friendly sharing amongst peers. And it’s that openness and sense of connection that makes ELH a great resource for e-learning pros and newbies alike. I’ve often likened E-Learning Heroes to a bustling metropolis full of different neighborhoods. Our discussion hubs are examples of these “neighborhoods” and are focused 100% on connecting you with your peers. Have a question about an Articulate product? Check out the product-specific forums for peer-to-peer support. Looking for someone to bounce creative ideas off of? 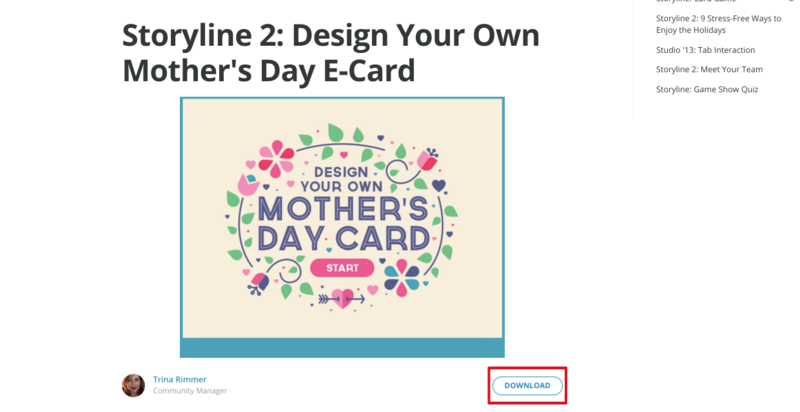 Want feedback on your latest Articulate Storyline project? The Building Better Courses hub is chock full of helpful folks willing to lend a hand. It’s easy to think of the discussion forums as a place for problems, but they’re also places for you to share your ah-ha moments, design ideas, and favorite resources. For more discussion pointers, read up on our 3 Tips for Getting Quick Answers to Your Forum Discussions. You may be curious about what others are creating, or maybe you're just looking for ideas to freshen up your next e-learning project. Either way the E-Learning Examples hub is the spot for you. It’s brimming with beautiful, fun, and inspiring e-learning examples from our community shared via social media, weekly e-learning challenges, and the discussion hubs—and curated by the Articulate Community Team. You can find the E-Learning Examples hub by clicking on the “Learn” drop-down menu on the E-Learning Heroes home page. Once you’re in the Examples hub, you’ll find an ever-growing assortment of e-learning inspiration. Simply navigate using the page links at the bottom of the screen. Most projects are only available for viewing, but sometimes folks may share the project’s source file as well. Projects that are available for download have a download button in the lower right corner of the header image. Pro tip: Community members who wish to share their projects with us upload their project's published output. For Storyline (1+) projects this is the story.html file. For Articulate Studio ‘13 projects this is the presentation.html file. 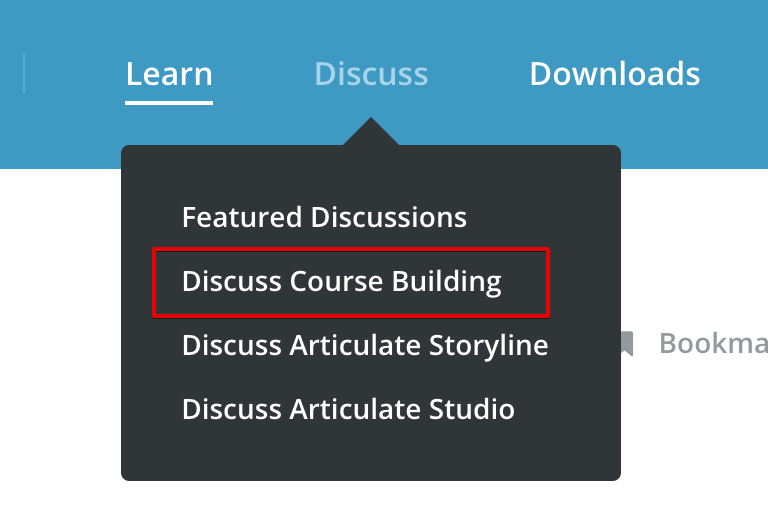 If members area also sharing their project's source files Storyline courses will include the .story file for download. For Studio ‘13 projects, you’ll typically download an Articulate Presenter package. 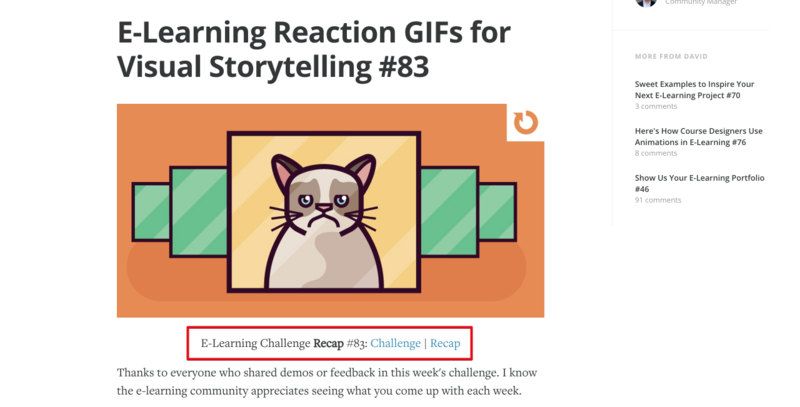 One of the ELH community’s favorite ways to learn, share, and build their e-learning portfolios is through the weekly challenge. Challenges can be e-learning specific, but are more often about general creativity and skill-building in areas of design-thinking and visual design, just to name a few. Previous challenges have included things like using interactive job aids in e-learning, transforming infographics into interactive infographics, and using reaction .gifs for visual storytelling. Regardless of the challenge area, our community agrees: weekly challenges are an incredibly fun way to stretch your creative muscles and let your imagination run wild in a safe, supportive space. E-Learning Challenges are overseen and by our own David Anderson who posts a new challenge to the E-Learning Challenges hub every week, along with any inspiration material including source content, images, links, or other helpful resources and tips. To share your project, post your entry in the comments on the challenge post. David regularly recaps posts to include select project demos shared each week. Too busy to participate this week? No worries. Previous challenges are open to you anytime. Virtual connections are great, but it’s amazing how relationships can flourish as a result of the occasional face-to-face meet-up. That’s where local user groups can come in handy. While user groups themselves are not a feature of E-Learning Heroes, I thought I’d mention them here because they are such a great extension of the E-Learning Heroes community. To stay on top of all the latest User Group happenings, be sure to check out this recent community team post highlighting what’s in store in your area in 2015. Don’t see a user group in your area? Maybe you should start one! Here’s more info on how. You can also let us know you’re interested in user groups in your area by filling out this quick form. Participating in a community of peers is one of the best ways to kick-start your professional growth and development. 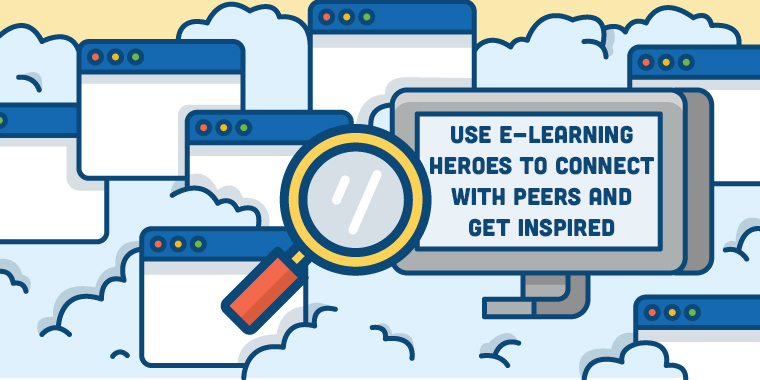 E-Learning Heroes offers you the perfect place to connect with fellow professionals from all walks of life and to learn from each other as you grow your skills. How do you connect with peers and find inspiration? Share your tips and feedback in the comments below.